Lewis M. Silber, founder of The Silber Law Group, LLC, has spent the last quarter of a century mastering the Maryland judicial system. Silber combines pragmatism, charisma and dedication, delivering record verdicts and rulings throughout the state of Maryland. He earns the respect of Judges and jurors alike, and his unconventional practices make him an unparalleled option when choosing a defense. 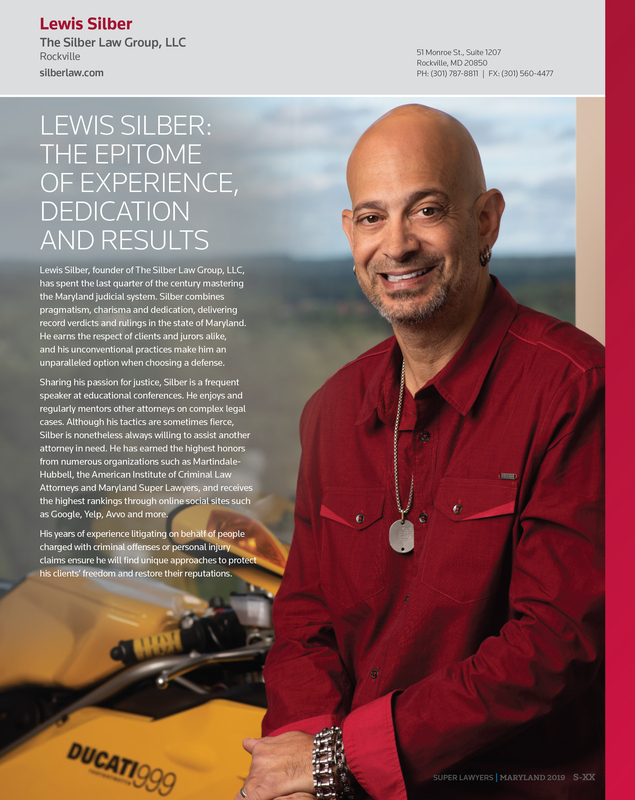 Sharing his passion for justice, Silber is a frequent speaker at educational conferences. He enjoys and regularly mentors other attorneys on complex legal issues. Although his tactics are sometimes fierce, Silber is nonetheless always willing to assist other attorneys in need. He has earned the highest honors from numerous organizations such as Martindale-Hubbell, the American Institute of Criminal Law Attorneys and Maryland Super Lawyers, and consistently receives stellar rankings through online social sites such as Google, Yelp, Avvo and more. His years of experience litigating on behalf of persons charged with criminal offenses or personal injury claims ensure he will find unique approaches to protect his clients’ freedoms and restore their reputations.